Gold has shed 1.4 per cent so far this week, its biggest since the week ended December 8, 2017. 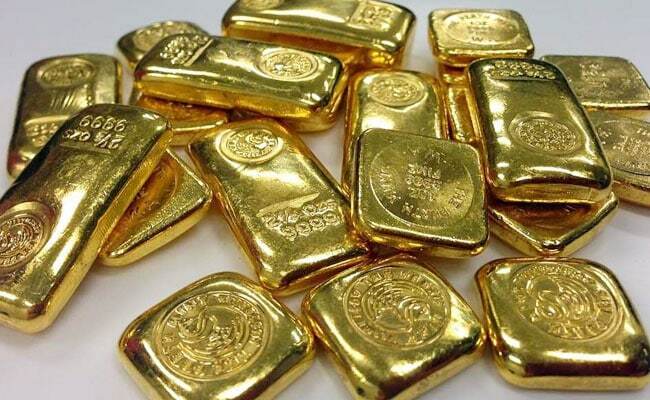 U.S. gold futures were down 0.1 per cent at $1,331.2 per ounce. Gold prices slipped on Friday and were headed for their sharpest weekly drop in 2-1/2 months as the dollar strengthened during the week. Spot gold was down 0.2 per cent at $1,328.90 an ounce as of 0338 GMT, heading for a fifth session of fall in six. It has shed 1.4 per cent so far this week, its biggest since the week ended Dec. 8, 2017. U.S. gold futures were down 0.1 per cent at $1,331.2 per ounce. "We remain somewhat cautious on gold over the short-term given that we think the dollar rally is still not over, especially in the light of U.S. Treasury yields remaining elevated," said INTL FCStone analyst Edward Meir. The dollar index, which measures the greenback against a basket of currencies, was up 0.2 percent at 89.883. It reached a 10-day high of 90.235 on Thursday after hitting a three-year low of 88.253 late last week and was on track for a gain of almost 1 percent this week. "People do know that interest rates will be raised, most likely in March, and have priced that in," said Brian Lan, managing director at dealer GoldSilver Central in Singapore. "People didn't go for the down, they covered their short and start to buy gold back again." Spot gold is expected to rise to $1,354 per ounce as it has stabilised around a support at $1,326, according to Reuters technical analyst Wang Tao. Meanwhile, Asian shares rebounded on Friday as comments from a Federal Reserve official eased worries that the central bank might raise rates more aggressively this year. St Louis Fed President James Bullard tried to tamp down expectations of four rate hikes in 2018, instead of the widely anticipated three increases, saying on Thursday policymakers need to be careful not to increase rates too quickly because that could slow the economy. Higher interest rates make non-yielding gold less attractive. Among other precious metals, silver fell 0.2 percent to $16.59 an ounce, palladium rose 0.1 percent to $1,038.97 and platinum climbed 0.3 percent to $996.90.